Published August 21, 2015 in category: Rolling library ladder, Library Ladder, Stainless steel library ladders, Design with tags: closet ladders, library sliding ladder, rolling bookshelf ladder, sliding ladders, Closet Ladder System, library, design, stainless, ladders, rolling ladders, rolling library ladders, installation, interior design, specialty doors. Modern Stainless Ladders is the number one outlet on the web for high quality rolling library ladders. 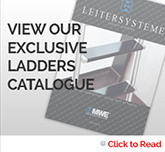 They offer a full range of library ladder hardware that can be applied to both residential and commercial spaces. The library ladders offered by Modern Stainless Ladders are highly durable, and they are capable of withstanding years of heavy use. This is important, especially in warehouse environments where library ladders are in heavy use throughout the day. Library ladders can be constructed using a wide variety of materials including stainless steel and wood. Stainless steel library ladders can withstand regular heavy use and are recommended for commercial use. Not only are stainless steel sliding library ladders perfect for commercial properties due to their trustworthiness, they also look great in any home. You don’t have to sacrifice safety and durability for style. The ladders sold by Modern Stainless Ladders are made to last and they are capable of adding a touch of beauty and elegance to any room. Homeowners and commercial property owners who are looking to expand their use of vertical storage space should invest in rolling library ladders. These ladders are much safer than traditional ladders because they are mounted to the wall. 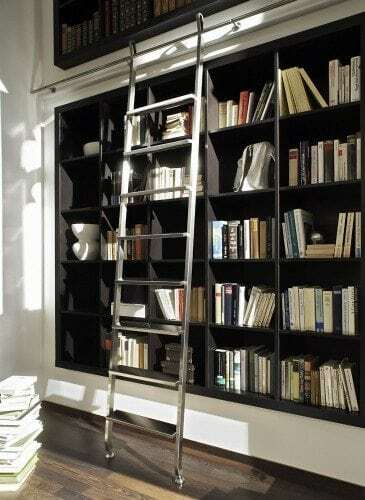 No homeowner with vertical storage space should be without a sliding library ladder. Traditional ladders are only truly safe with the aid of a spotter, but rolling library ladders have been safety utilized by individuals in both the home and working environment for hundreds of years. If both style and safety is important to you, then you should consider taking a look at the hardware offered by Modern Stainless Ladders. 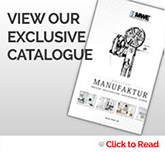 The stainless steel ladders stocked by Modern Stainless Ladders are constructed by industry experts at MWE. These ladders were built with regular use in mind and they fit in as well in the stock room as they do in the home.